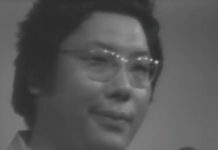 Trungpa Rinpoche’s account of his escape from Tibet is a treasure of a teaching, long hidden in broad daylight. For students it’s a source of unending spiritual insight and inspiration; for the world it offers a remarkable story of human adventure, resilience, courage and humour. It is a parable for our times, an inspirational story for walking our own paths through harsh terrain and bleak times. Phase I consisted of confirming the route of the escape – the research for which had began around 2006 – and then making the 2011 Touch and Go movie, which retold the story using satellite imagery from Google Earth and Microsoft Flight Simulator to illustrate the route’s terrain. 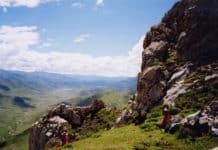 In Phase II, with the generous support of friends, we travelled to Nepal and Scotland in 2012 to interview survivors of the escape: Yonten Gyamtso, Trungpa Rinpoche’s attendant during the escape; Palya and Drupju Washutsong, whose family joined Rinpoche’s group; and Lama Yeshe Rinpoche at Samye Ling. 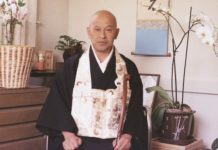 In personal communications, interviews and Samye Ling publications, the late Akong Rinpoche also shared his own recollections. In Phase III we compiled the research and set to work to share its fruits. Our primary aim was always to make a movie, either a full-length documentary or feature, for which the escape story’s a natural. We had hoped that some film person in the community might take the lead. That did not happen and – for a slew of reasons, including advancing age and the fact that we are not experienced script-writers, producers or movie-makers – this objective has been shelved for the time being. 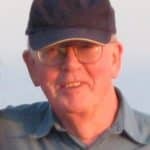 In 2016 Grant MacLean published From Lion’s Jaws: Chögyam Trungpa’s Epic Escape to the West. 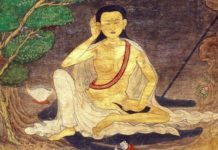 It retells the story of the escape, reworking it to make it more accessible to Western readers, while including vital facts that Trungpa Rinpoche chose to omit from Born in Tibet. It also weaves in survivors’ recollections and author commentary to highlight the meaning events where they might not be obvious. In the months since its release the book has been warmly received by students, professional reviewers and a broad variety of readers. From Lion’s Jaws has brought together all we know of the escape, drawing out its shape in a natural dramatic format. Along with Born in Tibet it provides all the necessary material for a movie when the time is auspicious. In Part 1 Rinpoche’s age is described as 20; in fact he was 19. In Part 3 the narrative states “ … only fourteen made it across (the Brahmaputra) that night.”; the actual number might have been as high as seventy. A possible source of this second error is discussed in the essay From Lion’s Jaws: Uncovering a Treasure, here [link]. 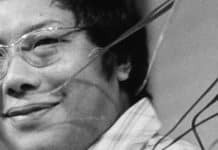 These errors are corrected in From Lion’s Jaws: Chögyam Trungpa’s Epic Escape to the West (2016). “I had no real idea from the book what they went through … those peaks, 18,000′ high, every day! 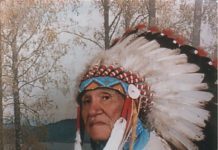 An evocative, beautifully made movie …” -Hal Richman, Tantallon, Nova Scotia. ” …like – totally cool journey! !” -Prof. Julia Sagebien, Puerto Rico & Nova Scotia. “The video raises an even stronger appetite than I already had to get my boots into the deep snow and follow the tracks of my Guru” -Eric Rugani, Avignon, France. ” … utterly awesome! … so skillfully and artistically recreates the Vidyadhara’s escape from Tibet in modern technology. I wish he was still alive to see it.” -Christine Keyser, Boulder, Colorado. ” … beautiful and moving and brings to light what Rinpoche actually accomplished. I am ashamed to say I have not yet read Born in Tibet. After your movie I am inspired to read it … I loved Rinpoche’s drawings of maps interspersed with the aerial photos from Google Earth. 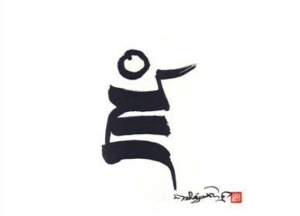 Rinpoche was an amazing artist on top of everything else” -Dana Marshall, Bussum, Holland. ” … wonderful and I look forward to the next one. Good work!” -Kerstin Gilkerson, Martins River, Nova Scotia. “Loved it. Great job!” -George Marshall, Tatamagouche Nova Scotia. 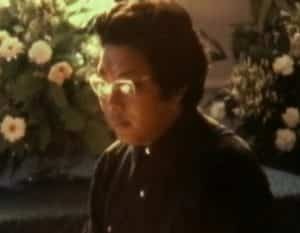 Touch and Go, Part One, was funded in part by a grant from the Chogyam Trungpa Legacy Project. Thank you to the good people at the CTLP. Thank you also to Lady Diana Mukpo and Shambhala Publications for their permission to use excerpts and images from Born in Tibet. 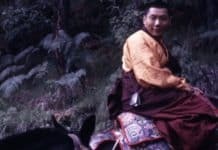 Thank you to Dan Russell for permission to use his 1968 color photograph of Trungpa Rinpoche on horseback. Visit Dan Russell’s website at www.deepmind.co.uk. Thank you to Lee Weingrad, CEO of Surmang Foundation, for his photographs of Surmang. Even in the darkest of the Dark Age, there is always light. That light comes with a smile, the smile of Shambhala, the smile of fearlessness, the smile of realizing the best of the best of human potential. — From “The Basic Gasp of Goodness,” in Great Eastern Sun: The Wisdom of Shambhala, page 172.